BBNaija Housemates, Nina and Alex debunk rumoured beef, say quarreling has no place in their friendship. 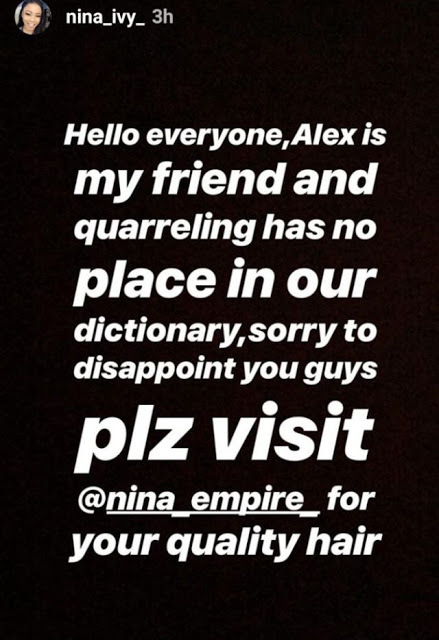 Former Big Brother Naija housemates, Nina and Alex have both taken to their individual social media handles to dispel rumours of any kind of quarrel between them that different blogs and other media have been flying around. Everything started after a troll mocked Alex with claims that she got an henna in imitation of Nina who also has an henna on her hands. 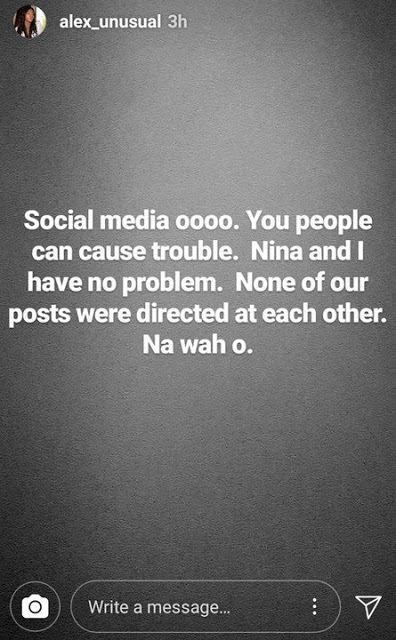 Nina also made it worse when she made a post stating that some ‘things’ are mentioning her in their page concerning negativity. However, in recent post, both reality TV stars have come out to debunk rumors of beef as they clarified that their posts were not directed at each other.